An excellent opportunity to work with Guy ONE on ONE. 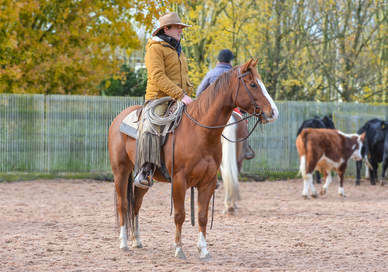 These lessons are ideal for those interested in horsemanship and wanting to either learn/build confidence or advance their partnership with their horse. ​A £25 deposit is needed to secure your place on this clinic, all payments must be made using the PayPal link this enables us to a) track who is on the event b) take deposits c) inform you all of any changes to the event. You don't need to have a PayPal account you simply need a bank card and you can log in as a guest. Once you have booked onto the event via PayPal a confirmation email will be sent to you. ​Once you have booked onto the event via PayPal and paid your £25 deposit a confirmation email will be sent to you.